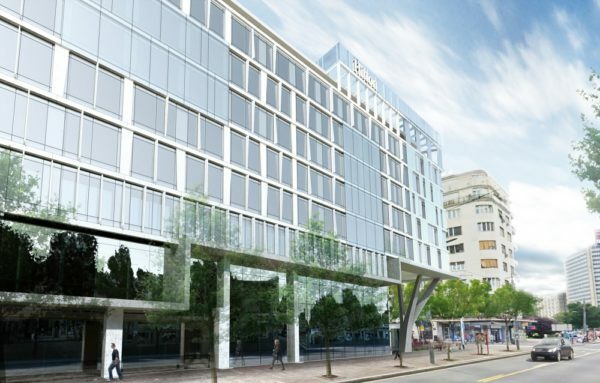 The newest 5 star hotel in Belgrade, was opened in March, 2018. Hilton group runs 5,500 properties with nearly 895,000 rooms. Situated in Old Town (the center of the capital), just moments away from the famed Slavija Square, and from all main sights of the city (Kalemegdan Fortress, Museum of Yugoslavia and Church of Saint Sava…). 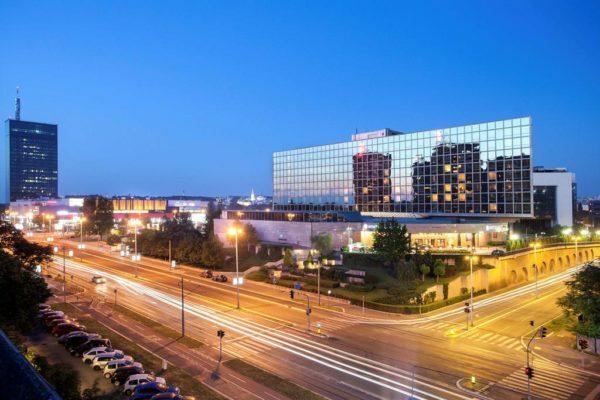 Hilton Belgrade offers elegantly designed and and spacious of total 242 rooms. Their beautiful restaurant “Two Kings Restaurant & Bar” includes menu with traditional Serbian cuisine with a modern twist. They also have “Sky Lounge Bar & Dining”, with a great and breathtaking view over the city. Their menu includes Pan-Asian cuisine with signature cocktails and extensive wine lists. Spa center works 24/7: sauna, thermal baths, relaxation room and fitness room. Suitable for bigger groups, especially for the congress tourists, with a ballroom which can host 520 guests (perfect for corporal events and for private parties as well). Their garden can host 300 people, and its suitable for the less formal events. 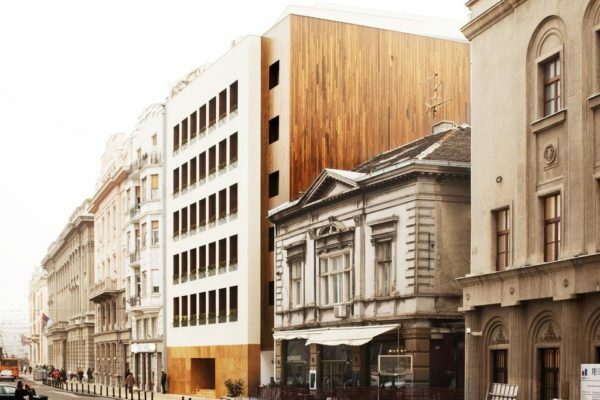 Square Nine hotel in Belgrade is centrally located in the heart of Belgrade’s old town overlooking Students square. It’s just 20 minutes from airport by the car. Furniture and interior design is quite unique: sofas by Finn Juhl and Bruno Mathsson, tables and chairs from Ole Wanscher, Hans Wegner, Arne Jacobsen and Kaare Klint, bar stools by Arne Vodder, etc. Square Nine’s selection of original, mid century furnishings was carefully sourced at auctions during the years. Square 9 the luxury contemporary art building, and even that it’s one of the newest buildings in this part of town, it’s matching colors and respecting height of the surrounding buildings. They have wide selections of the rooms, and they are all luxury: Superior King, Twin Deluxe, Family room, Presidential suit, etc. The lobby for the guests and restaurants of the same name, “The Square”, are pretty impressive. An elegant atmosphere, and a selection of international fine wines and spirits compliment Square Nine’s expertly rendered modern European cuisine. Can accommodate in the same time up to 60-80 people, with an al fresco courtyard open according to season. They host many events such as weddings, birthdays or corporate and business meetings. They have stunning rooftop fine dining restaurant – “Ebisu” (named after Japanese god, protector of fishermen) with perfect, authentic Japanese cuisine. Wellness and Spa is also in Japanese style -offers a Japanese Ofuro tub, steam room & sauna and 18 meters long lap pool (with salinity of 0.5%). The hotel has been opened in 1957. The building has been declared as a cultural monument in 2001. In the 1960’s and 1970’s the Metropol was one of the most popular and elite venues in Belgrade and President of Yugoslavia, Josip Broz Tito, has organized his New Year’s Eve celebrations in the hotel. During the history, hotel was hosting many VIP guests: Brigitte Bardot, Gina Lollobrigida, Elizabeth Taylor, Sophia Loren, Jack Nicholson, Kirk Douglas, Robert De Niro, Roman Polanski, Alfred Hitchcock, Che Guevara, Neil Armstrong and many others. The latest reconstruction began in 2008 and was halted twice in the next 4 years. The hotel was temporarily opened in June 2012 as the five-star venue under the name Metropol Palace. 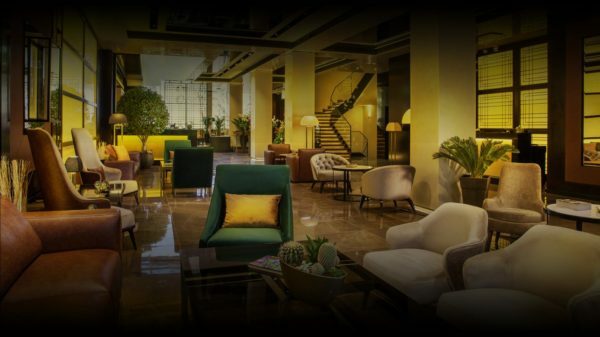 It was announced that the Metropol Palace officially joined the Starwood hotels chain, under the Luxury Collection of brand-category. The hotel features 198 beautifully appointed guest rooms and 38 suites including breath-taking Belgrade Suite and Presidential Suite. Limegrove Fitness & Spa Center encompasses a 25-meter long pool, sauna, Jacuzzi, gym, relaxation area, steam bath, ice fountain and 6 treatment rooms. The hotel is located in the downtown at the corner of the Bulevar kralja Aleksandra and Karnegijeva street, in the municipality known as Palilula. and access to Regency Club Lounge for business meeting or relaxation. Metropolitan Grill Restaurant is located at the main Lobby of the hotel. The restaurant serves a wide selection of Serbian and international cuisine. The grill offers a full buffet or continental breakfast and an à la carte menu for lunch and dinner with friends and family. Breakfast is served as buffet style with an open show kitchen where their chefs can prepare egg dishes, omelets, and pancakes as you like. This is the smallest 5 stars hotel in Belgrade. It is located in municipality of Vracar, in residential area in Svetog Save (Saint Sava) street number 10, by which hotel got it’s name. Hotel has 54 rooms and suites. Interior is made with intimate luxury ambiance. Every aspect of the hotel was designed with attention to the details incorporating with all the functionalities needed to assure the luxury level of service and comfort for all their guests. The part of the hotel is also beautiful “Sanctus” restaurant, where you can connect, work or simply relax and enjoy their beautiful meals with carefully picked ingredients, locally produced. Their menu offers a supreme steak, handmade pasta and aged meats. If you want to try some of the best meals in the City, check out the list of the best restaurants in Belgrade.